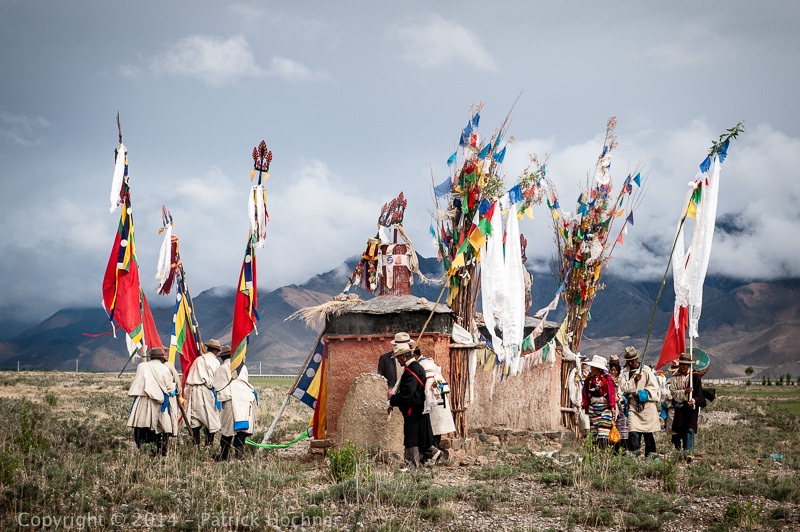 We were quietly driving from Shigatse to Lhasa when Akiko saw a group of Tibetans holding large flags forming some kind of procession not far from the road. They were playing music and something was obviously going on. We asked our driver to stop to let us have a look. We didn’t quite understand what was happening, and our guide couldn’t help us much. 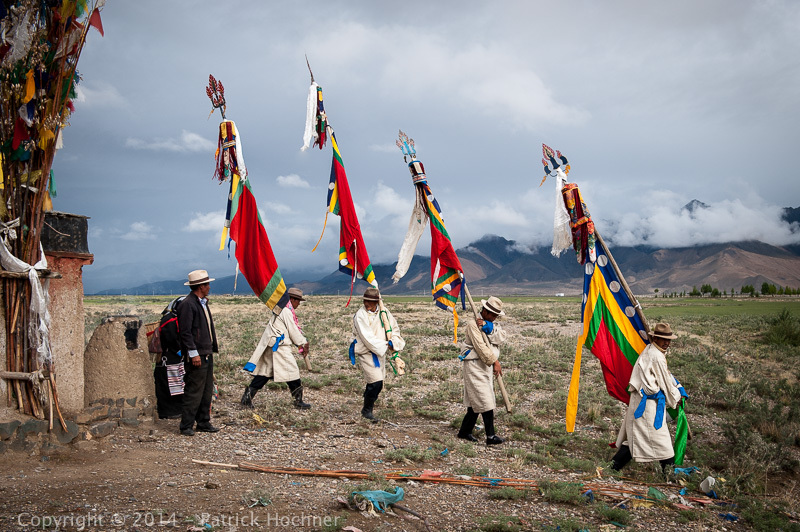 The Tibetans were chanting and singing and playing music while carrying these huge flags. They turned around d what looked like a special location, a small shrine of some kind. 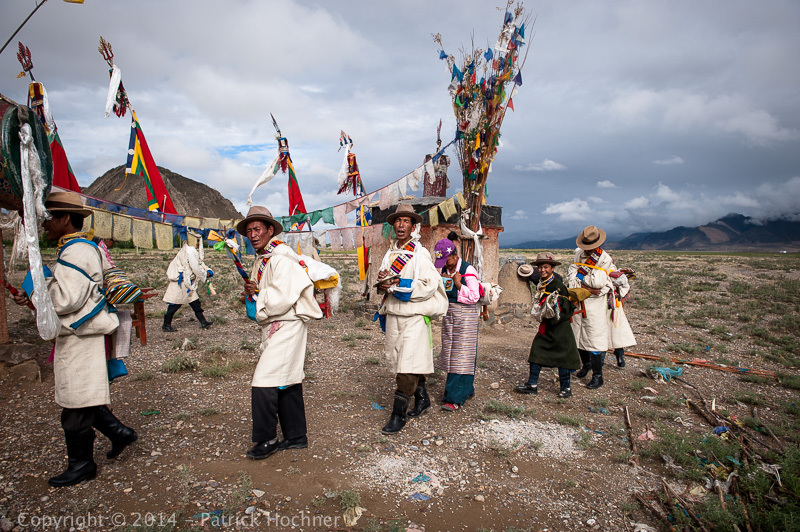 After a little while, they simply walked away in the distance, still chanting and singing, and playing music. Looking at this a few years later, I had a strange feeling of having missed something. Maybe.